Some test sprays. 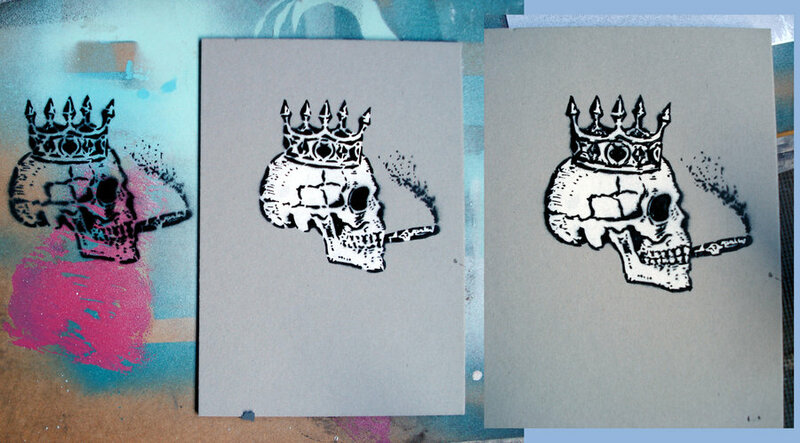 The skull stencil is based on an old Russian criminal tattoo. More information on the original tattoo can be found in the comprehensive Russian criminal tattoo encyclopedias released by FUEL.